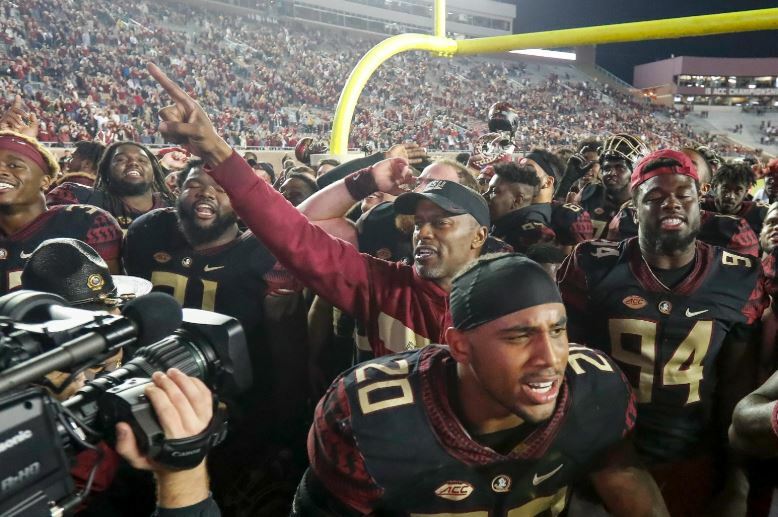 Now that the football season is over (at least, for Florida State), fan attention diverts to the recruiting trail, where the one promise of good news remains. Willie Taggart and staff are going hard on the trail in hopes of grabbing a top-10 class. Given their results on short notice in 2018, most are expecting an above average close for the cycle. They do not have unlimited time to do so. 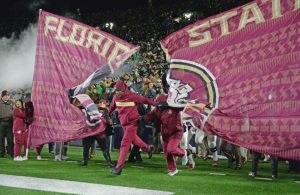 The Early Signing Day lands on Dec. 19 this year, giving the Seminoles less than a month left to lock down their current commits and make a good impression on their remaining targets. This will likely be canary-in-the-coal mine situation. If the flips start happening and FSU cannot close on certain players, Taggart’s tenure in Tallahassee will be brief. If the opposite happens, he gives himself a chance to build toward his vision. If you are wondering how the bad season might affect Florida State recruiting, we examined that earlier this week. We will continue to provide daily coverage of recruiting as the day approaches. That includes this piece, which is a new format from our past articles on the subject. We will attempt to predict how Florida State finishes the 2019 class and update this piece as we get more information. We will also provide notes at the bottom that either link to sources or explain what we have heard about the players listed. At this point, the names are a bit less important than the numbers. 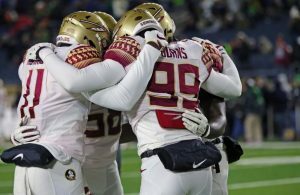 The focus for Florida State will be the offensive line, where it will likely take four to five more players. Some of that might depend on if former tackle Josh Ball gets readmitted to FSU. That is not a guarantee but it is a poorly kept secret that Ball is trying to rejoining the team. The Seminoles need both immediate impact players and depth. Guys like Ball, Putnam, Bland, Williams are the former, whereas Pendley and a couple other tackle prospects are the latter. Note that the 2018 group of linemen had three tackles in it: Christian Armstrong, Jalen Goss, and Chaz Neal. Goss and Neal are filling out nicely and it’s likely that one of them sees action in 2019. Armstrong can provide depth at the moment. None of this is a guarantee that Florida State’s offensive line will radically improve in 2019, but they will not be playing guards at tackle and dealing with that level of roster management. Whichever of Derick Hunter or Quashon Fuller stays, the other will likely leave. Fuller has become the better player in his senior season but Hunter still has really interesting potential. Renardo Green is all but gone. If you remember, he had that saga during the season where he decommitted for a couple hours and then recommitted, saying that there was a miscommunication. He will flip to Ohio State whenever they give him the go-ahead signal — although it is unclear if the retirement of head coach Urban Meyer could be a difference-maker. Back in April, we wrote about the son of former FSU lineman Bobby Meeks, who is now a highly sought after cornerback in the class of 2019. That son is now visiting Florida State and is very interested in the Seminoles. It took the staff too long to offer him and it is a bit of a mystery why they are just now getting involved with him. Nonetheless, he is in play and apparently Florida State feels very confident. Putnam is iffy. Florida State holds the vast majority of crystal ball predictions, but for whatever reason, the staff has been unable to get him in the fold. 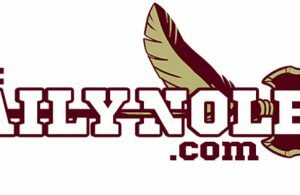 The Seminoles are still the favorite but it would not shock snyone if he chose Auburn or Clemson. If he goes anywhere other than FSU, Desmond Bland becomes an absolute necessity. He can play both guard and center (like Putnam). Jarvis Brownlee and Malcolm Ray are the top two flip candidates. Brownlee is committed to Miami but recently received an FSU offer and is visiting soon. Ray is a South Florida commit with the same story. They both play for Miami Carol City and are under-ranked. The most recent development involving the departure of offensive coordinator Walt Bell has left questions about the status of 4-star quarterback Sam Howell. Howell has been an FSU commit since the April, but his close relationship with Bell has been well-documented. With Bell gone, a flip to North Carolina could be on the table. Taggart is visiting Howell on Tuesday.